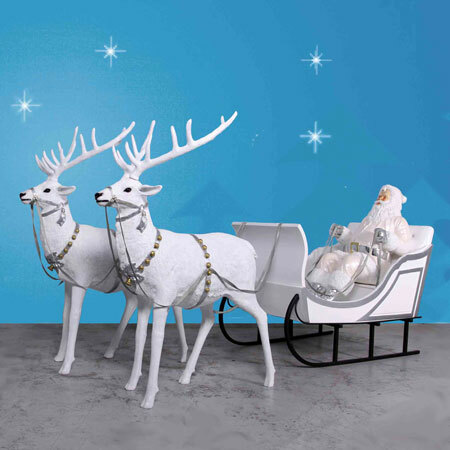 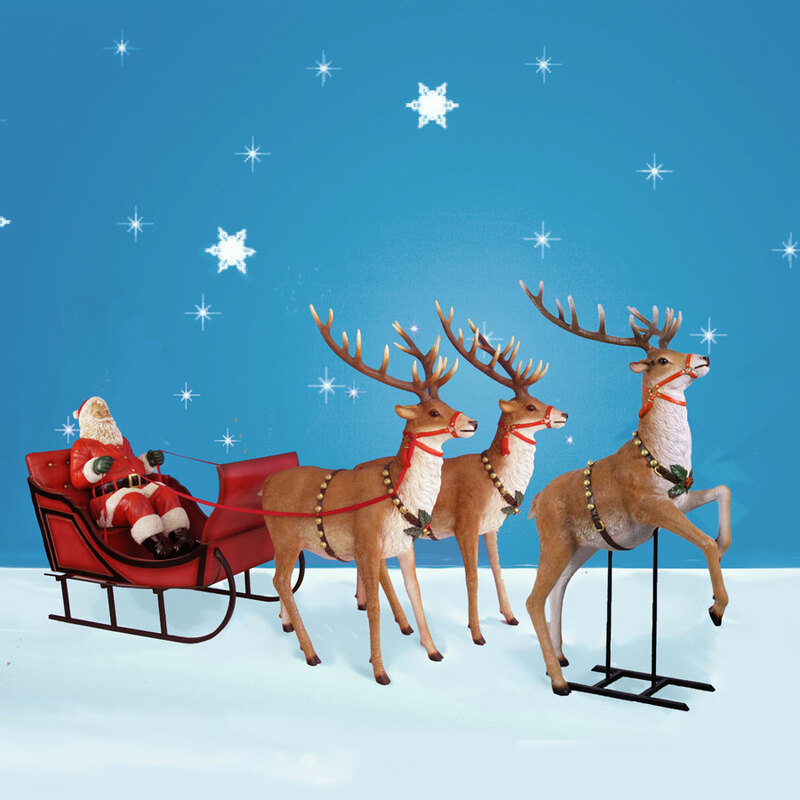 Designed by Christmas Night Inc., this special Giant Santa, Sleigh and Three Reindeer Set will make you want to bellow "ho, ho, ho!" 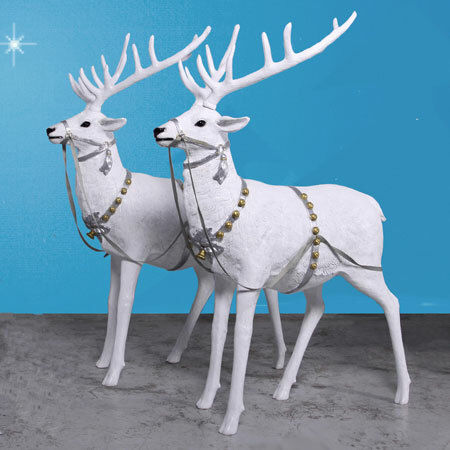 The exquisite details and fine-quality craftsmanship is a showcase of Christmas Night Inc.'s devotion to exceptional artistry and design. 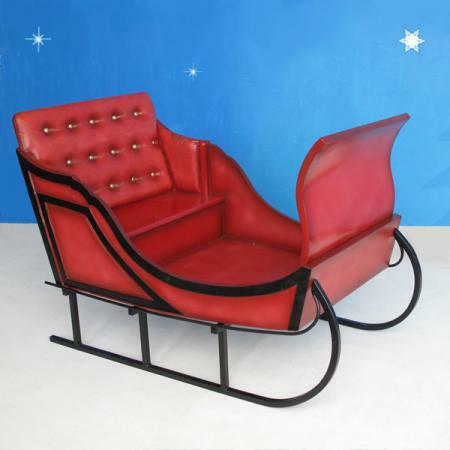 Each piece is made from durable fiberglass and metal. 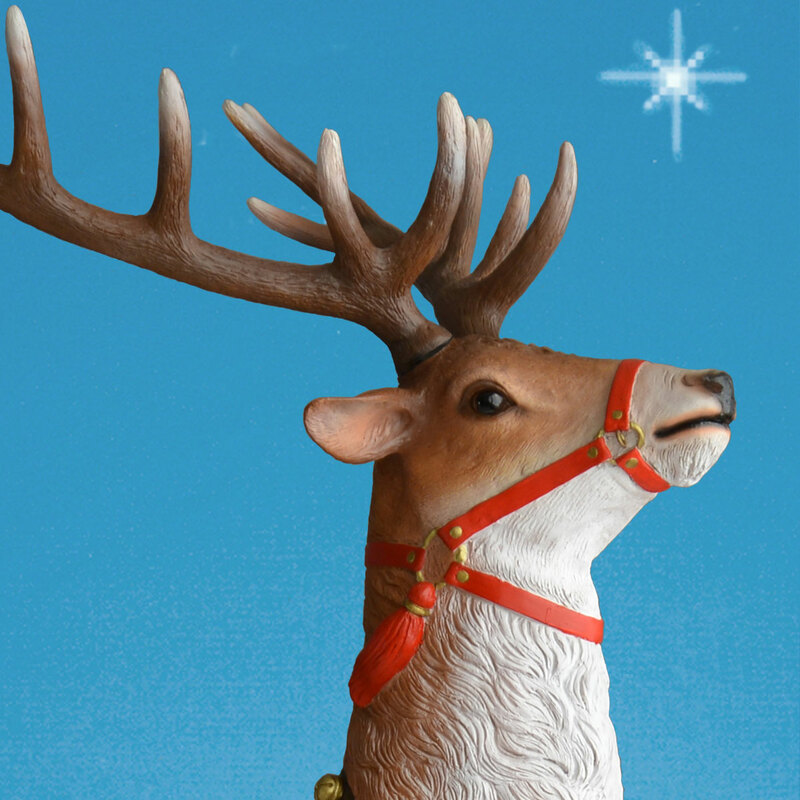 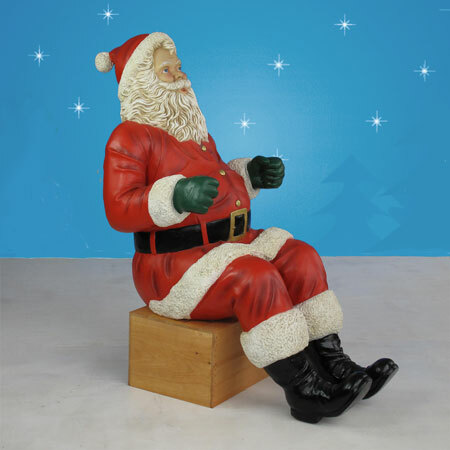 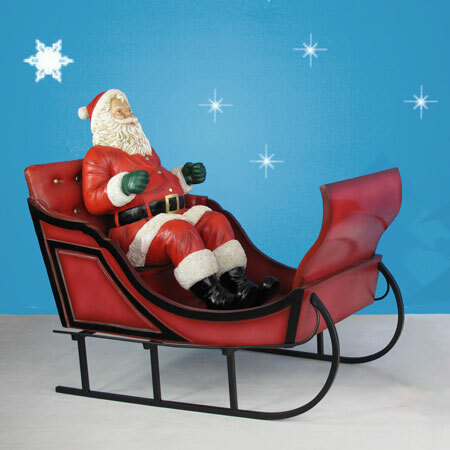 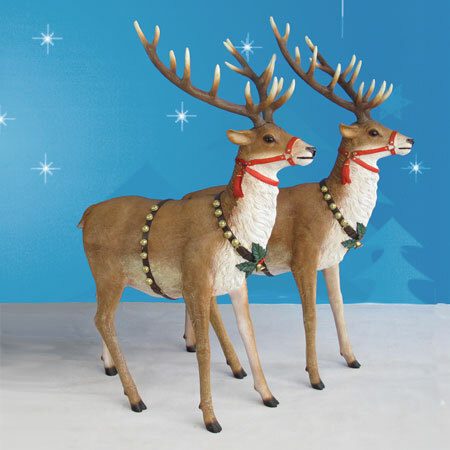 The sleigh can hold up to 250 pounds, making it a versatile Christmas showpiece.